As a more-or-less newbie to the flower community, I'm constantly turning to colleagues to ask "what is this one called again?" or "is this going to last in water, or should I stick it in the cooler?" In an era of the industry in which practically any cut flower can be shipped from any corner of the world, our vocabulary for the botanical materials we use is becoming ginormous, and the sheer amount of information about each flower we use in a given project can be overwhelming! But that's where tools like Sierra Flower Finder–a collaborative cut flower information database maintained by the Canadian company Sierra Flower Trading Inc.–can help solidify vocabulary and serve as a handy resource for looking up specs on flowers when you have questions about how they perform after cutting. The tagline for the Sierra Flower Finder is "everything you want to know and say about flowers." An ambitious project, but still a promising one. Whether you're one of those florists like me who is still a bit green and routinely mispronounces things or a seasoned pro who is always experimenting with new material, this is a helpful place to beef up your flower name recognition, knowledge of how different varietals behave, and your frame of reference for which growers are the best so you can keep that in mind when ordering from your wholesaler. It's basically Team Flower meets Reddit meets Wikipedia meets your favorite wholesaler website. You have to sign up to use the finder, but that just means creating a user account much like you would with any other online portal. A drop-down menu at the end of the signup form asks you to indicate whether you are a florist, bouquet maker (I love that this is an option; what do you do for a living? Oh, I'm a bouquet maker), event planner, wholesaler, grower, or "I just love flowers" person. So those demographics seem to be their target audience. Basically all flower friends welcome. Every individual flower entry is editable by users, so again, it's the Wikipedia of blooms. Florapedia. You can tweak information that already exists about items in the database or add new entries entirely. It's not an exhaustive reference yet, but it looks like the vision is for the resource to continually grow as the industry does, as people care to add items to the reference library. From the menu on the homepage, you can find a list of major categorical collections (like "roses," "lilies," "orchids,") all of which expand into more detailed sublists, as does the one I'm likely to spend the most time using: a tab called "Flowers and Fillers," which has extensive alphabetized sublists. As you peruse the menu categories, you can also essentially bookmark flowers you've looked up on the site by adding them to customizable albums, a feature I could see being helpful for building visual recipes you want to remember for future use. The albums tab can also serve as a space where you can quickly access facts about a flower type you want to come back to without having to dig through the index every time to find it–after the fashion of a Pinterest board, or Instagram album of saved posts. If for example, I click on Alstroemeria, I find seven pages (168 photos, to be exact!) detailing each varietal by name. Clicking on one of the colors takes me to a page with an enlarged photo, tips for handling, and information about performance as well as the best-known growers/distributors. There are also three button links at the top of each varietal page, inviting me to either "add to album," "share with friend," or "discuss." Pretty user-friendly! These discussion boards are sorted by topic much the same way as the message threads we know and love over at Team Flower. Although, I found that they seem to be updated much less frequently than Team Flower's, and without as much robust participation, so this feature may be a second or third to-go on your list if you have a question you want to put out into the universe of professionals. There is also an option in this section of the site for linking or submitting industry-related articles to the community, so you may be able to find some interesting things there, but I found this tab hardest to navigate and least informative. The strongest portions of the finder definitely appear to be the reference library and the albums feature. Sierra Flower Finder does have an associated blog that they link from the top of the homepage, and it is a fun little resource full of quick features on specific flowers, as well as links to fun stuff like the rabbit hole I fell down watching amazing timelapse videos of a Dutch astible farm's greenhouse during the growing and harvesting processes! The blog also opens some windows into the grower and shipper arms of the industry (make sure to check out their linked Sierra Eco page!) 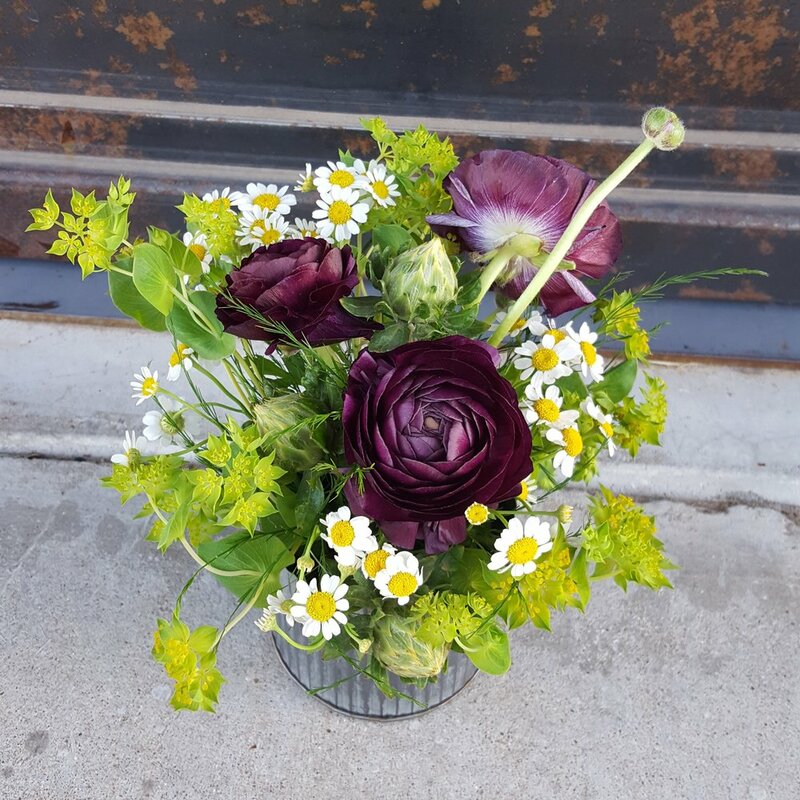 which is a helpful way for those of us on the tail end of the cut flower supply train to gain some perspective on the whole enterprise so that we can make mindful choices when we buy, as those decisions drive and shape the direction of the industry in meaningful ways. Much of the content in all areas of the site seems to be straddling the transition between two eras and two platforms of floral design: old school retail florist shops who rely heavily on lilies, carnations, and mums for day-to-day arrangements and orders, and who often produce events in assembly line or warehouse environments, and the boutique and studio businesses that tend to work exclusively in bespoke events, anchor their designs in garden roses and exotics like protea, and tend to assemble their products in small studios by hand. So some of the information and the look of the interface might seem a little outdated at first blush, but it's actually kind of interesting and helpful to have a resource that keeps a foot in both worlds and keeps you aware of the changing face of the industry. You won't find an exhaustive archive of flower profiles or an entirely up-to-the-minute conversation on the Sierra Flower Finder, but you'll definitely be able to check the name of a particular rose color you saw in a colleague's studio, or if you so desire, contribute to the community by researching and submitting new posts so that the list of reference materials continues to grow and stay relevant. Plus, popping over to the finder now and then will probably reduce the number of attempts–as entertaining as they are–it takes to spit out a flower name correctly while planning or designing. In flower friend's studios, I've either heard or said "ridiculous" for ranunculus, or "panini" for peony, or "I'llstillmarryya" for alstromeria…you get the idea. One group laugh and one correction at a time, we're all finding our way to encyclopedic flower knowledge, and tools like this one might just be handy to have in your virtual toolbox. Because knowledge is flower power. Hannah is a Houston-based studio florist whose love for naturalist literature, forest life, and a dreamy vintage aesthetic inspires her work. She spends her off time at the arboretum, in grungy urban joints supporting her friends who play in bands, and participating in social justice initiatives with her husband and their local community. Hannah has been a Team Flower Member since August 2017.